How it Happened: Frank and Doyle had their game plan all figured out. 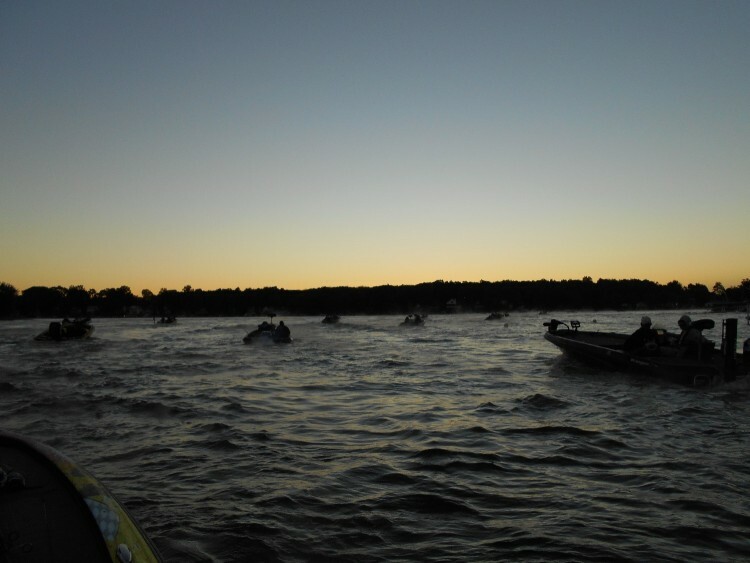 Like 1/4 of the anglers that launched Saturday they ran to the gravel pit first thing in the morning. They new from prefishing that there were fish stacked in the area and they were prepared to catch them with power worms. After spending a short amount of time with the crowd, it became apparent that the the fish were not in a biting mood and they made a move​. There second spot was an island witha stump lined bank. Frank fished a drop shot while Doyle threw a non discript Wallmart Special Spinner Bait. ​​​How it Happened: Mark said he hadn’t fished the lake in 5 years so they played off Chase’s experience with the lake. They started in the area within 100 yards the ramp looking for retreads and fish that seem to reside there regularly. In the first hour they put three keepers in the boat. 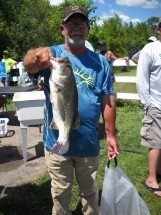 They had planned on staying longer but were getting discouraged watching fellow angler Scott Sizemore put on a clinic. Mark said Scott seemed to be catching one after another. Discussing the fishing Scott reveled that most of the fish they we catching were short. They moved out into the main lake for a while and eventually were able to put five in the boat from banks. Baits: Texas Rigged Chigger Craw. How it Happened: Mike said they started in the gravel pit. 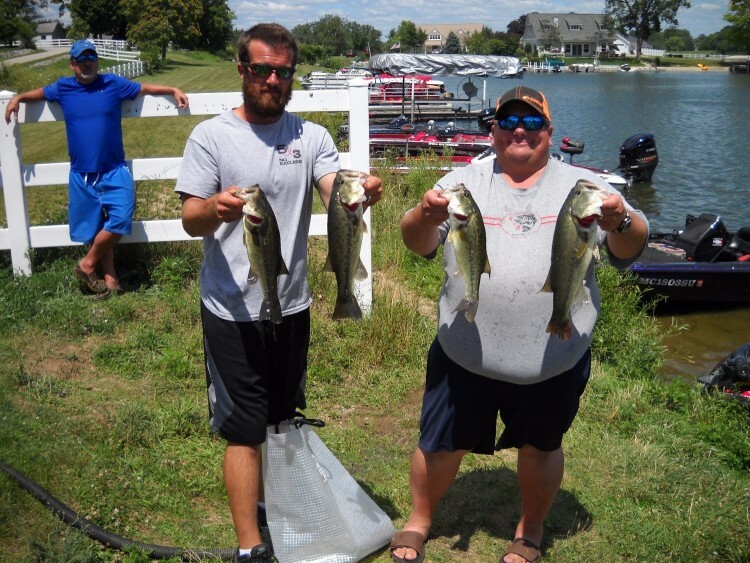 After spending the first two hours without a single bite they moved to a boat dock that mike has caught fish on before. Once again the dock produced 2 fish one of which was their biggest fish of the day. 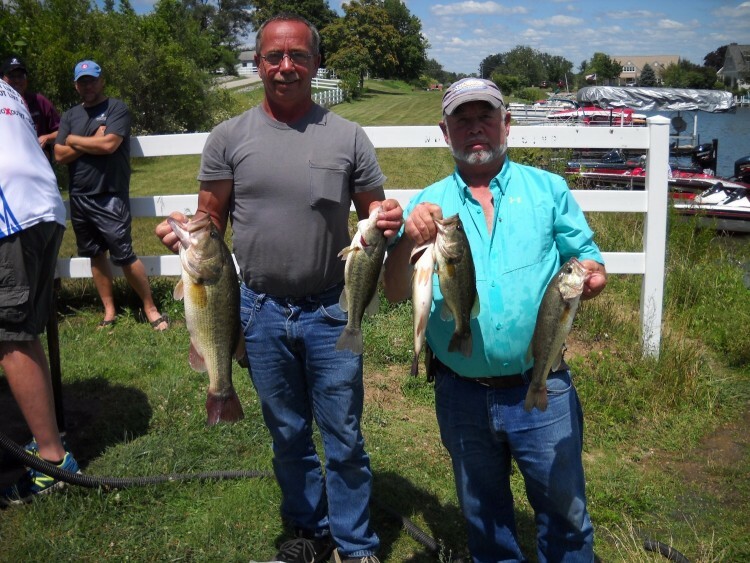 They continued fishing docks the rest of the day catching a few shorts and another keeper. 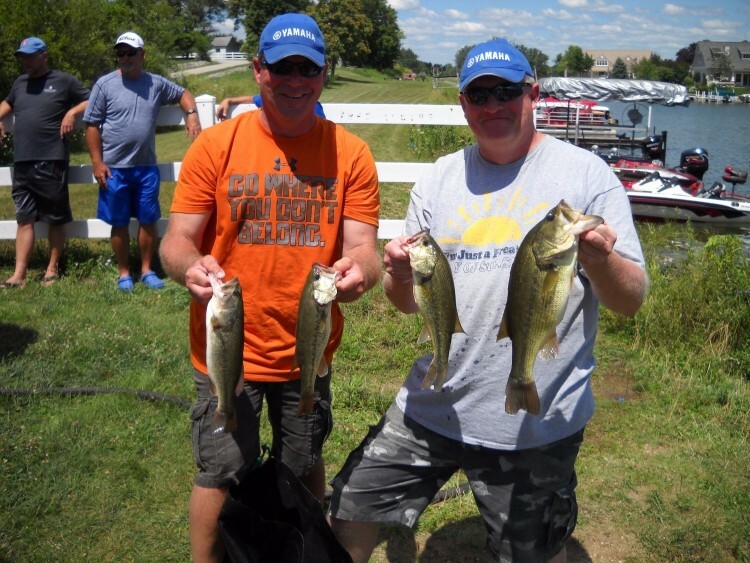 Continuing to grind it out they team put fish number 5 in the boat with less than 20 minutes to go in the tournament. 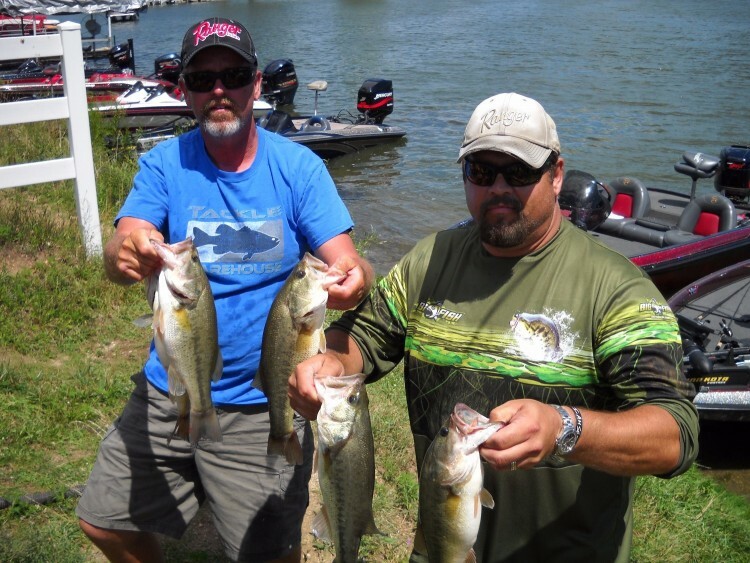 ​The R & B Bass Circuit's Eastern Division Tournament #4 was held at Sylvan Lake in Rome City. Come tournament time we all began to worry a little about the parking. Learning that morning that we were one of the few tournaments running on Saturday brought in a few more teams then expected. Although we welcome all who attended we at the same time want to apologize for the tight parking. 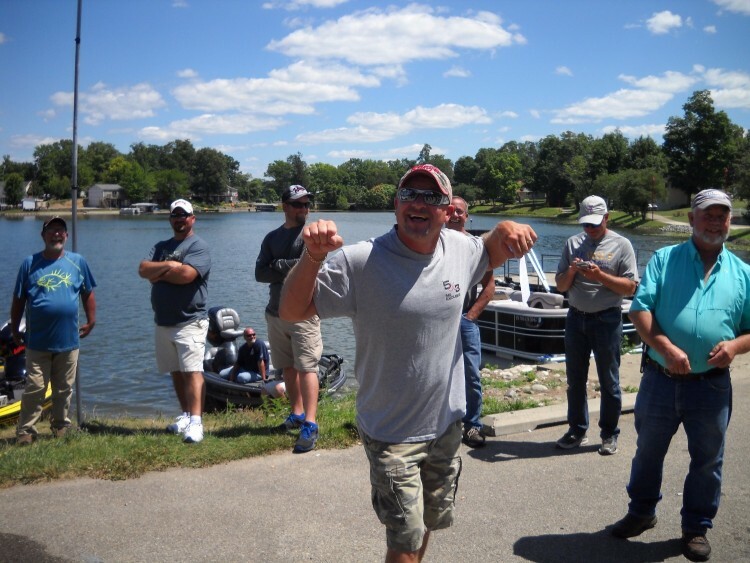 Many anglers commented prior to the event how tough the fishing was leading up to Saturday, in the end 18 teams brought in a full limit. that 2 pound cookie cutter size that was so common at weighin. 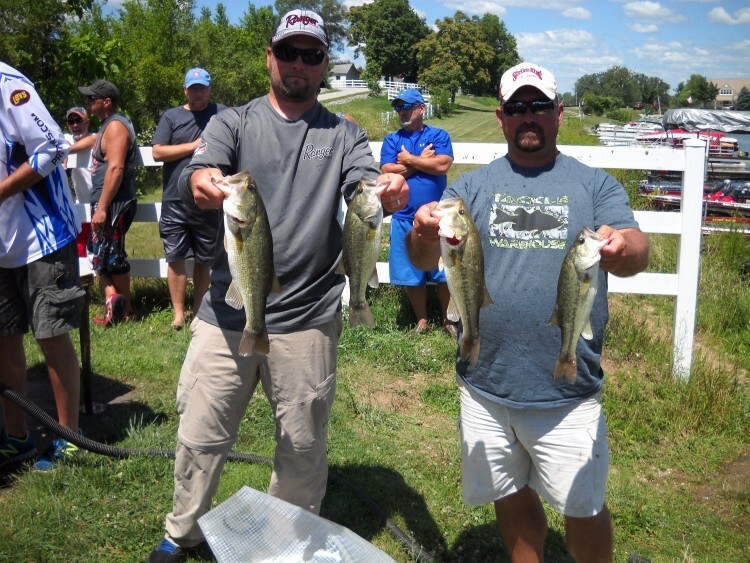 Doyle hooked their big bass on the spinner bait and the two knew that was going to be the one they needed to get into the money. Frank did want to apologized ​​to the anglers near him in the gravel pit. Apparently when they made their move he promised to bring back donuts. Baits: Zoom Finesse 4" Green Pumpkin / Purple Worn and White Walmart Spinner Bait. How it Happened: Steve said that it was a typical Sylvan day. The morning got off to a real slow start. They spent their time looking for schools of fish in the 8’-10’ foot range. 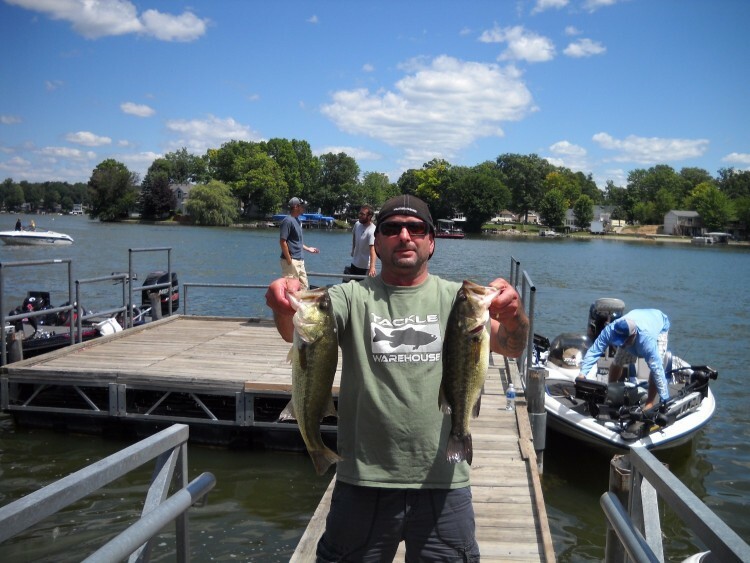 Through the day they were able to boat around 10 keepers but never were able to locate any larger fish. Baits: ​​ Jigs and power worms.